This is the first in a new category of posts I’m starting called Read On. These are short posts that include a brief introduction to a topic followed by a link to an article, op-ed, video, or other piece on that topic. I’m starting this category for two reasons: First, this will allow me to continue writing and encouraging discussion about interesting and provocative topics and issues, even when short on time (which I have been of late). Second, there are many pieces to be found online that I feel merit more discussion, so I want to share these with my readers. As many of you have likely heard, the world is going to end tomorrow, May 21st, at 6 pm. Well, that’s the story at least. Harold Camping, president of Family Radio, made a prediction about the end of the world, declaring that it is to come on May 21st: tomorrow. This isn’t the first time Camping has made this prediction, and after 6:01 passes without incident tomorrow, he’s likely to come up with another. Now, the idea of this world crashing down around our heads tomorrow seems unlikely at best to the vast majority of us. And while I would agree that this theory is pure lunacy and fantasy, perhaps this kind of unfounded belief is not as far from home as we would think. In the article I link to below, Stephen Prothero, a professor of religion at Boston University, discusses the idea that we all have our pet irrational beliefs, and perhaps we’re not all that different from the May 21sters. 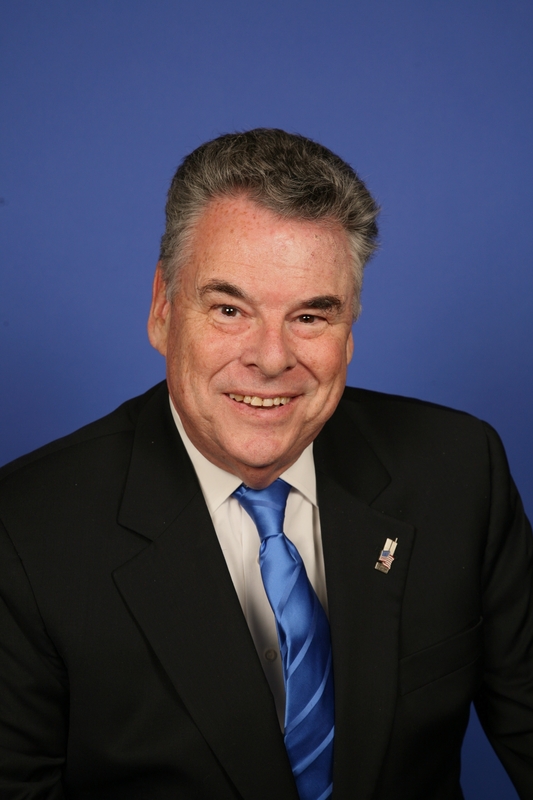 Earlier this month, Representative Peter King of New York held a hearing that was called to “investigate the radicalization of Muslims in the United States.” This sparked an uproar among religious and secular groups across the US, who were infuriated by what seems to be obvious bigotry. King, who is pictured here, of course denies any such allegations. The man is adamant that this is not discrimination, and many people agree with him. I have to admit that it’s an unavoidable (and unfortunate) fact that there tend to be more Islamist extremists than there are extremists in other major religions. (I pray that no one takes this in an offensive way!) But King’s approach to this problem of possibly-encroaching extremism is not just appallingly bigoted, but the wrong way to solve the issue. First, the bigoted part. While it’s statistically true that there tend to be more Muslim extremists (at least here in the US) than those of other religions, it’s patently false that violent extremism is exclusive to any one religion. (Just take a look at Timothy McVeigh or Shoko Asahara, founder of the Aum Shinrikyo doomsday cult.) By claiming that Islamist extremism is the only real threat to America from religious groups (which he hasn’t necessarily explicitly said, but seems to be pretty heavily implied in his singular focus on Muslims), King is isolating and discriminating against a typically peaceful and law-abiding group of people simply based on their religion. Now, to me it seems obvious that this is religious discrimination. King is essentially leveling his gavel against an entire group of people based on the actions of a very few individuals. This is a vast and offensive generalization of Islam and of Muslims. It’s understandable that Peter King would want to hold a hearing on religious violence in general. But by focusing exclusively on Muslims, King is not only ignoring the possibility of religious violence from other sectors, but unfairly focusing on a religion whose adherents are almost totally peaceful. The implications here are more than simple issues of religious fairness though. Radical Islamist groups’ resentment toward the United States is often based largely on the perceived bigotry of Americans toward Muslims, and sadly there’s often a lot of truth to accusations of religious animosity against Muslims among Americans. Besides this, many non-extremist Muslims in the US feel victimized by some Americans’ anti-Islamic sentiments. Peter King’s recent actions do nothing but add fuel to the fires of disenfranchisement among American Muslims, and make Islam seem like a religion that has no place in America. 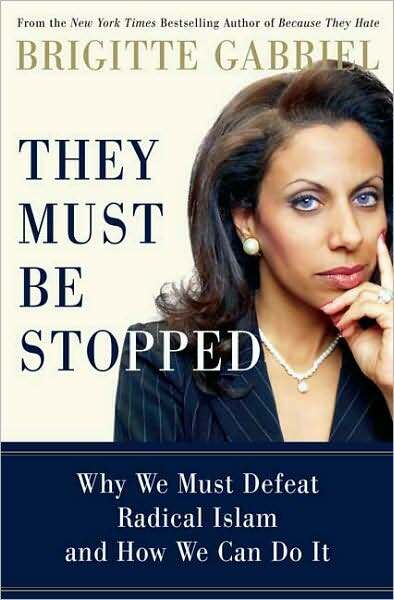 Other countries, including the United Kingdom and France, are also making moves that alienate their Muslim inhabitants. This alienation is not just wrong, but a violation of basic American and human rights. If the US claims to be a country based on “liberty and justice for all,” then its public servants, especially its federal level ones, cannot single out groups of people, whether or not those groups have a greater tendency toward extremism. Peter King, and any other politician who wants to look into the radicalization of any religious group, must do it in a way that is not exclusively focused on one group. The longer our country, and really any country (or person), continues to foster this kind of prejudice and religious ignorance, the greater our problems with extremism will become. I’d like to thank Musa Askari for helping me find inspiration for this post by sharing some of his father Hasan’s writings, and for broadening my perspectives on spirituality. I’d strongly recommend reading his blog to any of my readers out there. Thanks so much Musa! Countless religions are represented in our modern world, spreading over the entire world, and affecting the lives of billions. Many consider religion and spirituality one of the most central parts of their life, and I would put myself in this camp. But so often, this expression and belief leads to terrible conflict with those who may not hold the same views. Strong convictions born of powerful spiritual experiences or cultural forces lead many people, from all religions, to insist that only their religious beliefs are the best and only valid ones to have. What this inevitably leads to is a dreadful and anger-ridden stalemate. When a person’s religious convictions become deeply rooted in the wrong way, they begin to lose the ability to listen to others, and only focus on how they can best spread their own beliefs. And so the situation becomes one of dueling monologues, rather than a cooperative dialogue. For people of different religious backgrounds to truly get along and respect each others’ beliefs, those people need to abandon the notion that they are absolutely and fundamentally correct. A good image to help visualize this is that of two people shouting at one another in an argument. Both people are shouting their opinions very loudly, and being very vocal about what they think. But their voices are too loud for them to hear anything, let alone what the other person is shouting at them! The problem is, far too many religious people are so closed-minded and forthright about their beliefs that they can never manage to get along. Instead, people of different religions who fit this description waste their energy on trying to convince people of other faiths (people just as devout and rigid in their own, different beliefs), that they fail to accomplish anything. There’s a great need to move away from this model of “monologue vs. monologue” and begin to engage in real dialogue with people of other faiths and beliefs, even if it’s a challenge to our own way of thinking. As long as people keep talking to each other as though only their own beliefs have any significance, and all other people need to believe the same, there will only be a greater distance between people of different faiths. 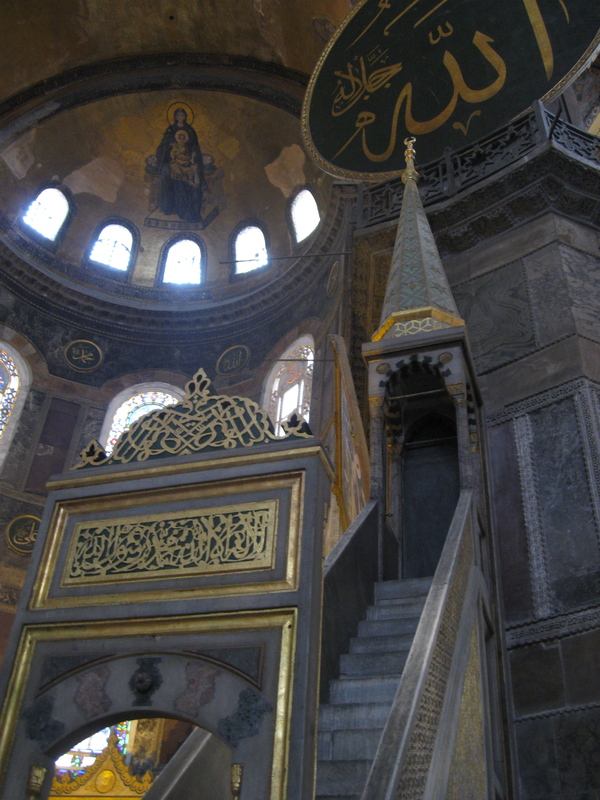 People of different faiths often have many goals in common, though of course they have different approaches. Religious faith can be an incredible way to satisfy our deepest needs, and often it can lead us to a greater understanding of spirituality and the world. 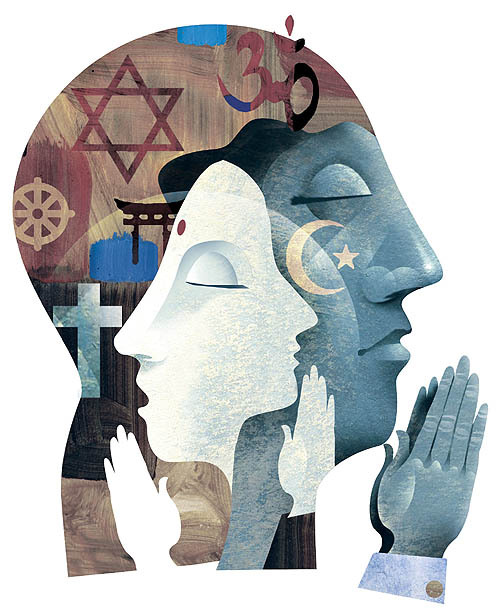 If people of all different backgrounds and beliefs can realize that there is valid wisdom and strength to be found in other religions, then we can work together, rather than apart. This doesn’t even require total cooperation of beliefs! While different people may disagree on specific orthodoxy, or even how they think of God and spirituality, they can still set aside their differences and agree to try and learn from each other, working toward the same goals of unity, peace, and understanding. It’s time to give up our monologues, and finally learn the skill of dialogue.